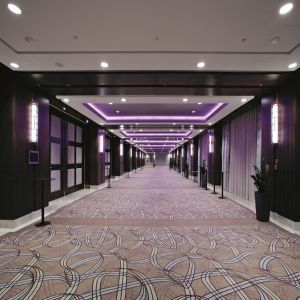 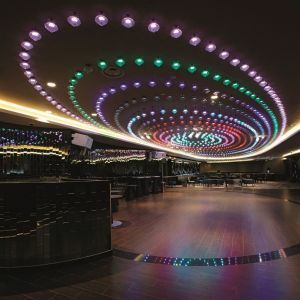 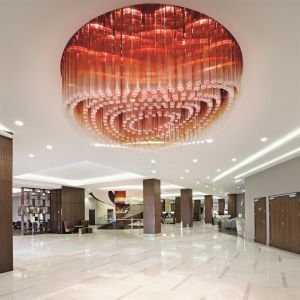 The interior of the 2014 Hilton Warsaw Hotel and Convention Center, designed by UK-based ara Design Consultants, contains many striking installations created by PRECIOSA, working closely in tandem with Polish KRYSZTAŁ s.c.
At 20 meters tall at its highest point, the lobby lighting installation greets guests with striking impact. 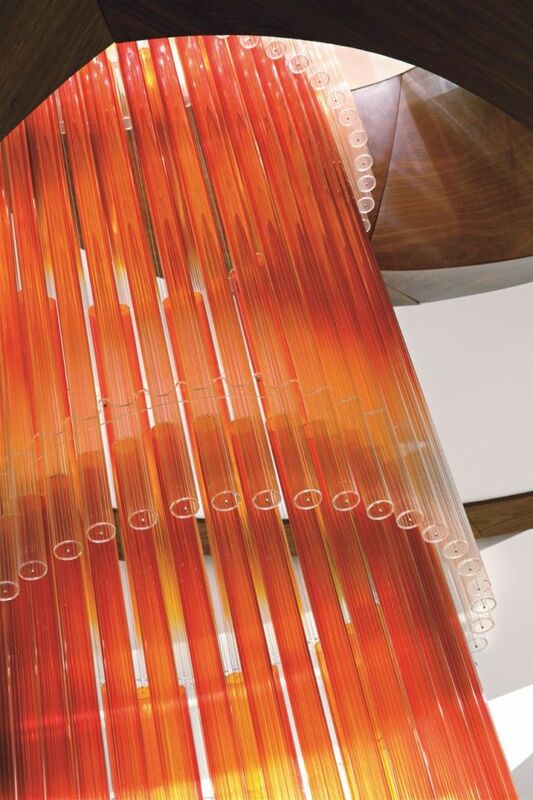 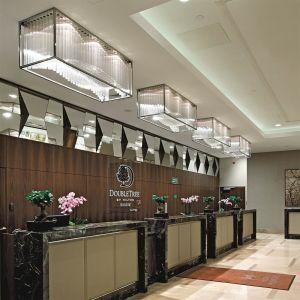 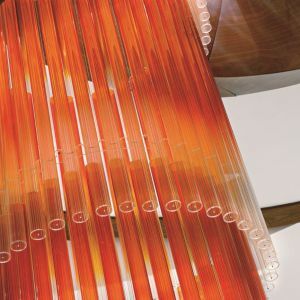 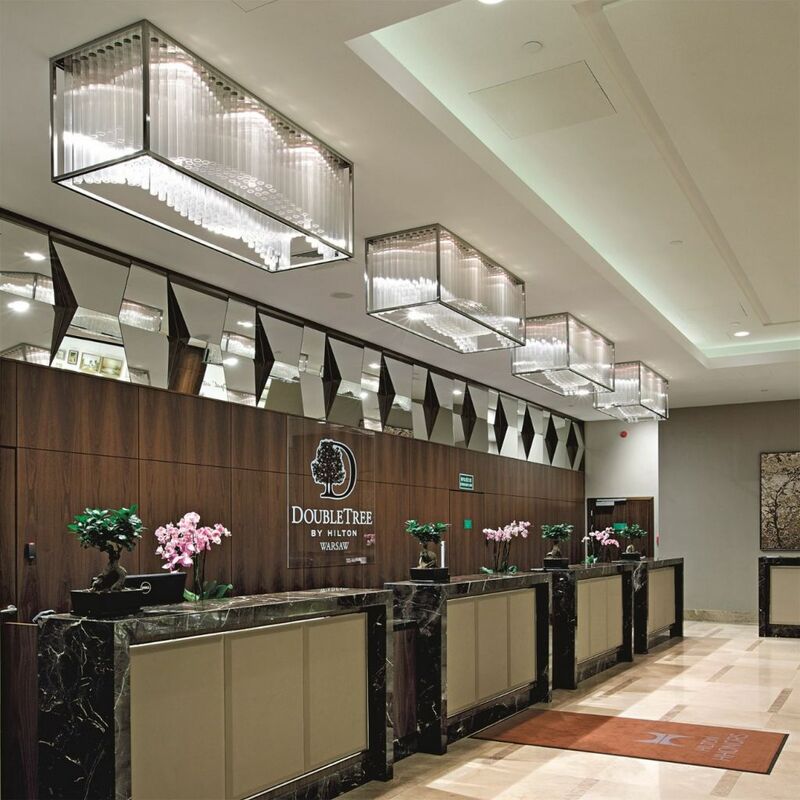 The hotel‘s main entrance is illuminated by a 7 m-wide chandelier fabricated from optical glass tubes ranging in colour from clear crystal to amber. 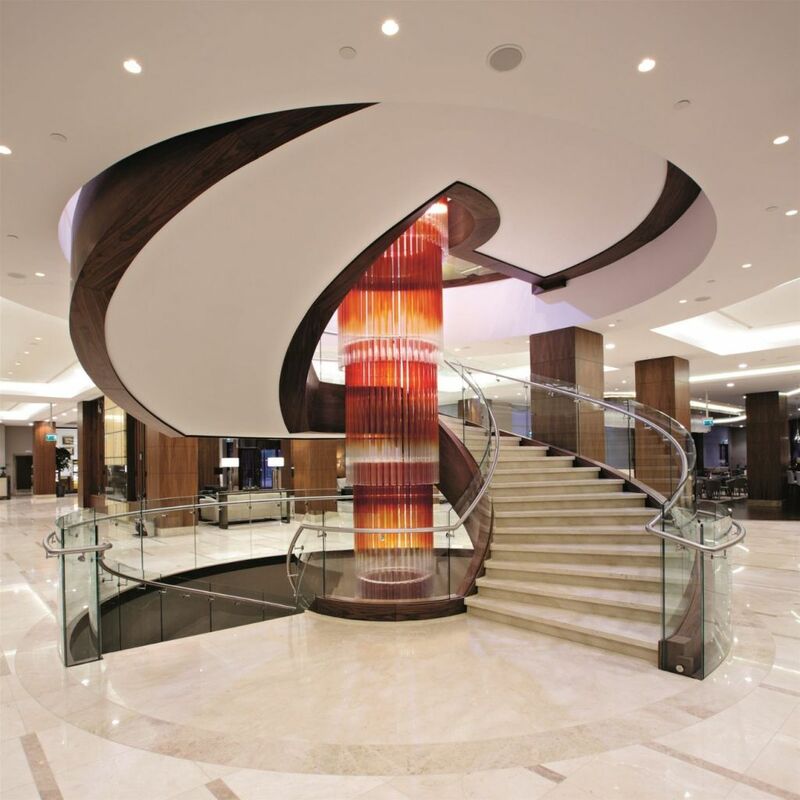 Likewise, a spiral staircase wraps around an imposing 10 m-high optical glass tube fixture in a similar colour palette. 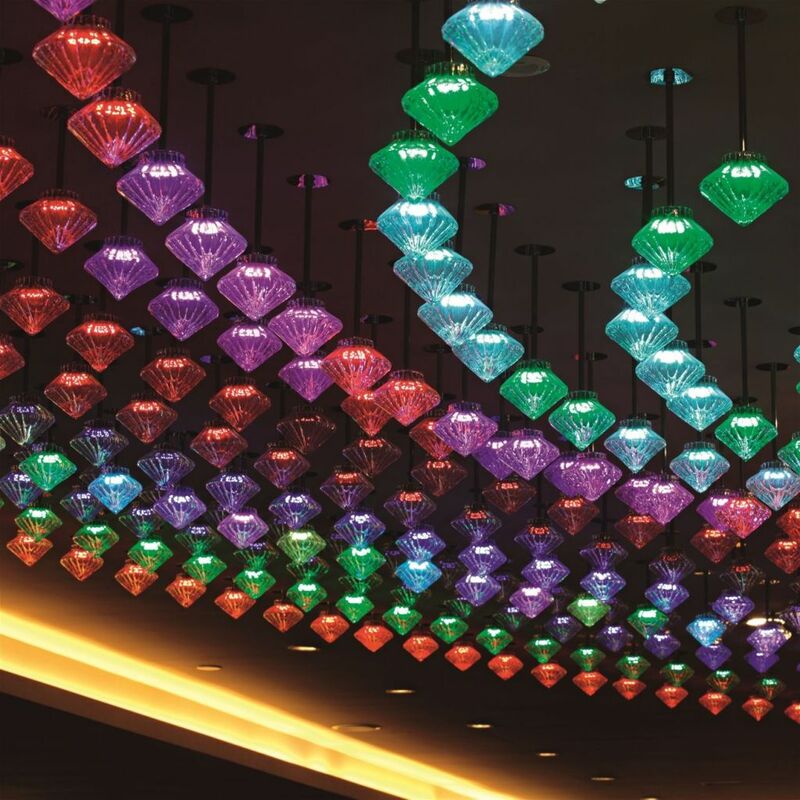 The hand-blown crystal installation in the ZaZen Bar, constructed of hundreds of diamond-shaped pieces that change colors in rhythm with the music, generates an electric, energetic atmosphere. 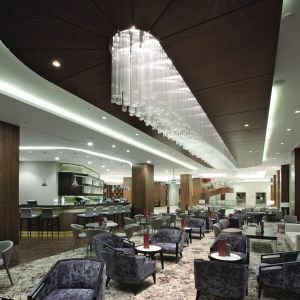 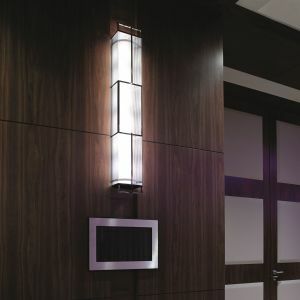 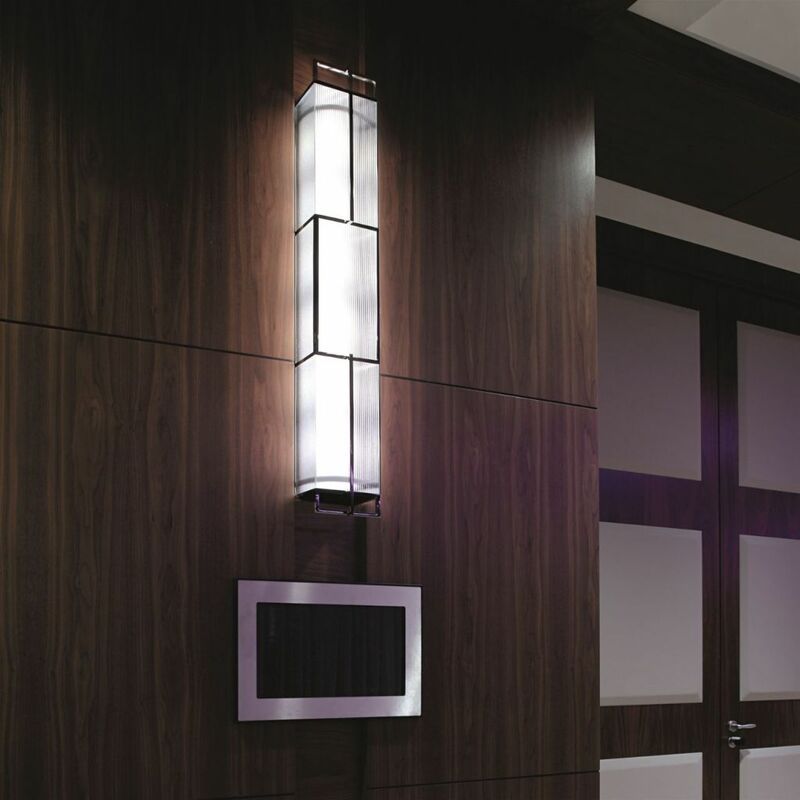 The interiors of the fashionable Pistaccio Lobby Bar & Lounge and the Meza Restaurant, as well as the Ballroom, pre-function and reception areas, are all also ornamented with PRECIOSA fixtures.